Yes! This trend is quickly island hopping. 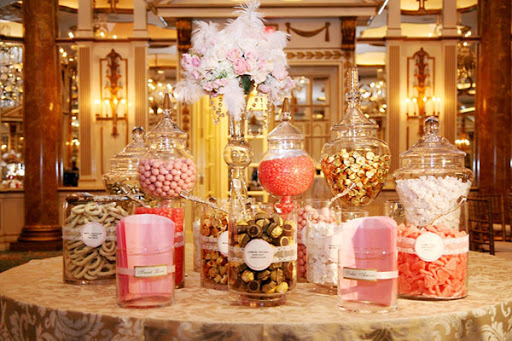 While a candy buffet does require extra effort in the Caribbean, due to the tropical elements, it can and is being done. It is obviously a smarter choice if you are having an indoor reception, but we’ve seen it at outdoor events as well. Most of the hotel wedding planners will be able to help you source the clear glass containers. 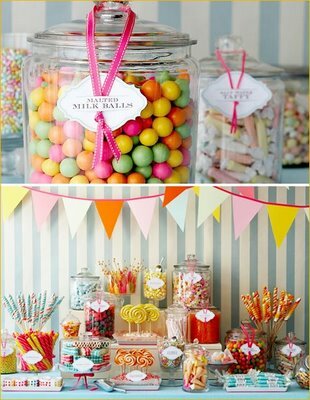 You may visit a local “wholesale” prior to your wedding and stock up on local candy OR bring your own from home. I recommend a combination of both. For the loot you plan on carrying from the US, stick to hardier versions of your sweet tooth faves, i.e. leave the chocolate on the shelves. Some of my favorite retailers for sourcing candy for a buffet are Dylan’s Candy Bar for a wide selection, and for a retro touch try Nostalgic Candy.